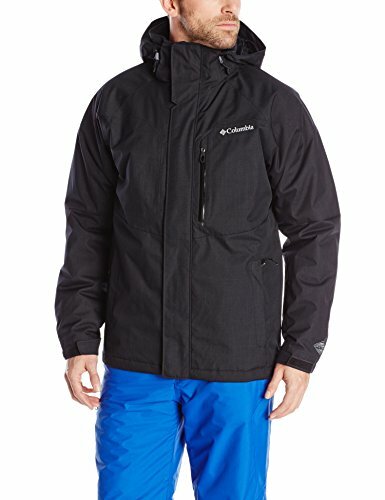 Columbia Men's Alpine Action Jacket, Black, Large - Amazon DEAL! 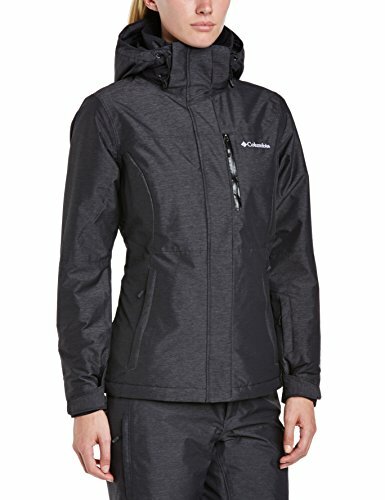 Columbia Men’s Alpine Action Jacket, Black, Large – Amazon DEAL! SUPERIOR MATERIALS FOR EXCEPTIONAL PROTECTION: The Columbia Men's Wild Card Interchange Jacket is three jackets in one-including a warm repellent lining; a waterproof, breathable, and critically seam-sealed shell; and a combination of both. MOUNTAIN-TOP PERFORMANCE: This men's adjustable jacket allows you to be prepared for whatever Mother Nature throws your way. The sturdy, multiple-layered jacket is made of 650-fill power down and two-way stretch for superior comfort. STORM-FIGHTING POWER: Columbia makes it easy to protect yourself from extreme winter conditions. The waterproof and breathable material is perfect for powder days and is certified to the Responsible Down Standard (RDS) by Control Union. 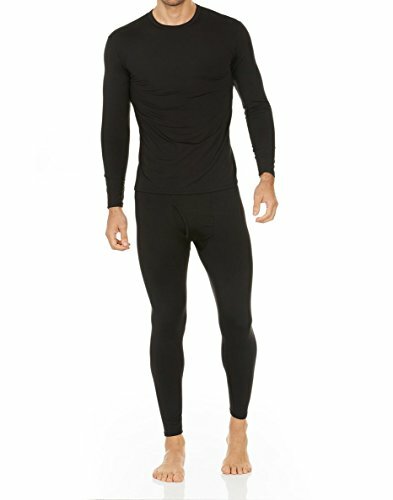 EASY TO INTERCHANGE: Our three-in-one design provides you the versatility to stay warm, dry, protected, and comfortable in various weather conditions. It features a zip-in and three-point interchange system for easy configuration. 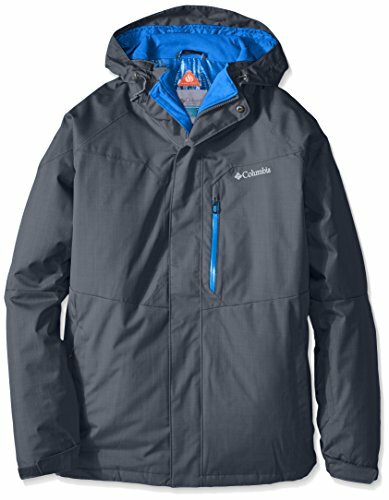 STORM-FIGHTING JACKET: The Columbia Alpine Action Jacket for tall men delivers next-level waterproof breathability and warmth that stand up to serious storms. 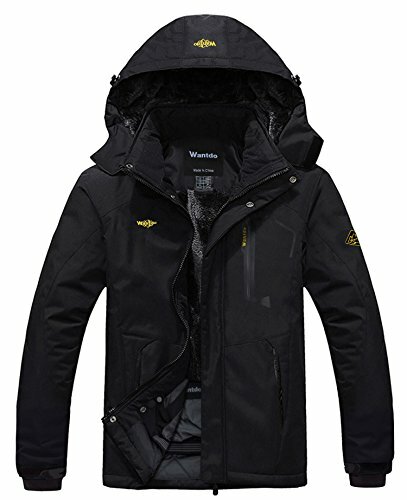 It's a superior technical jacket that is durable, comfortable, and rugged. 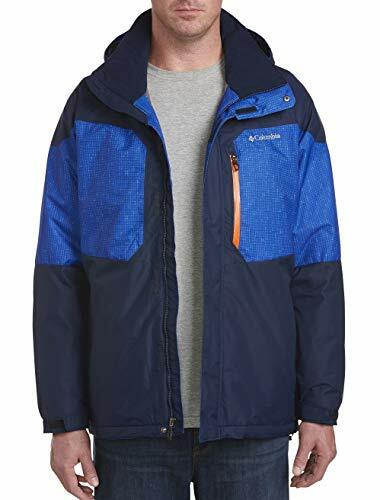 CRITICALLY SEALED SEAMS: Featuring a durable 100% polyester Matte Melange shell, 100% polyester Omni-Heat Reflective Microtex Light lining, and 100% 100g Microtemp XF insulation, this jacket includes sealed seams for maximum protection. 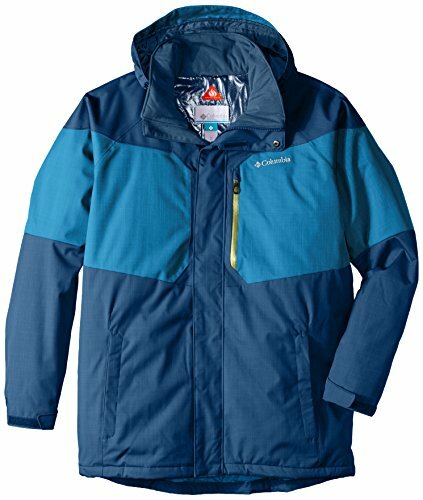 MOUNTAIN READY: This Men's Action Jacket is perfect for serious alpine enthusiasts. Features such as the adjustable cuffs, zippered hand pockets, snapback snow skirt, and removable storm hood keep the powder on the slopes and outside your jacket. PREMIUM INSULATION: The Columbia men's hooded jacket combines superior synthetic insulation and thermal-reflective lining. The precision manufacturing blends these materials perfectly to keep you warm during serious winter weather. STORM-FIGHTING JACKET: Next-level warmth and waterproof breathability deliver a serious storm-fighting, technical jacket. PREMIUM INSULATION: This hooded jacket combines superior synthetic insulation and a thermal-reflective lining, so you can focus on dropping a line, not the cold. MOUNTAIN READY: Features like a snap-back snow skirt, adjustable cuffs, and removable storm hood keep the powder on the slope. VERSATILE FIT: Our Big and Tall Columbia snow jacket includes a down-style baffling that is flexible, provides cushioning, and delivers a versatile fit without wearing thin over time.